This visual is part of a range of 3D images we created for one of our clients. They needed visuals to aid their UK Sales team in displaying their brand specific POS kits in various drinking venues. 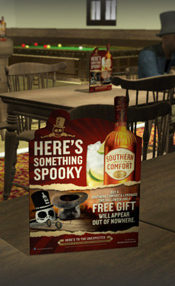 This particular image was for Southern Comforts Voodoween campaign. 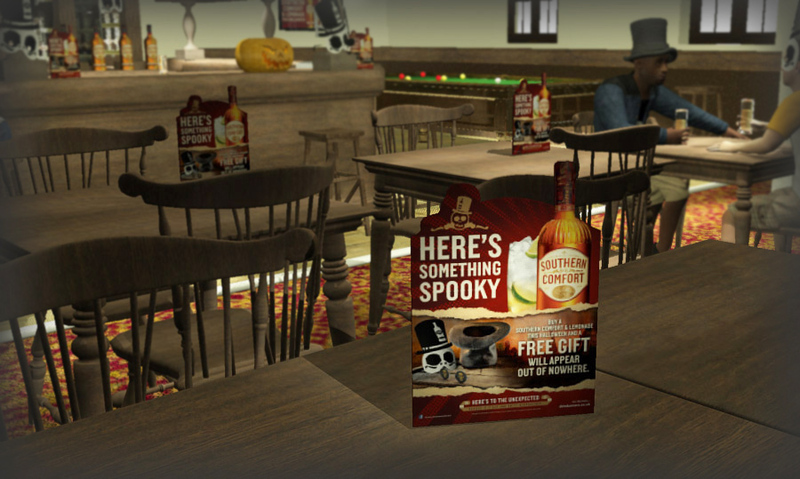 We modeled and textured a typical mainstream pub environment, and presented the POS items on the bar and tables.